Rome with two faces: back in the league, convincing in the Champions League. It is testified by the draw in Florence that, although it is not a result to be thrown away, leaves the Giallorossi to -5 from fourth place and luckily that Florenzi to score from within the area at 5 ‘from the end. Two weeks ago, Dzeko’s double and Under’s goal, however, gave the dry 3-0 on CSKA and the head of the group, uncertain given the difficulties of Real Madrid. The Russian team is at -3 from third place in the league (although at -11 from the summit), but in the Champions League if he is playing it all right. In the only match at home Vlasic wrote the story by scoring the goal against the current European champions. In the match against Roma we will know how many are the merits of CSKA and how many the demerits of Real Madrid. The match-winner plays a playmaker next to Dzagoev in 3-4-2-1 of Goncharenko, who finds Akinfeev among the poles and confirms Chalov as the only offensive reference. Training soon also made for Di Francesco, who relies on the certainty of the current 4-2-3-1. Pellegrini, Under and El Sharaawy will support the striker Dzeko who, together with Lionel Messi, leads the Champions League scorers. Roma are leading 6 points in Group G, like Real Madrid and +2 on CSKA Moscow. The Giallorossi have scored 8 goals so far, third best attack after PSG and Barcelona. In 6 of the last 7 European matches the Russians have suffered at least one network. 7 times in the last 9 previous home against Italian teams CSKA Moscow has scored and scored goals. Roma have won 8 of the 9 comparisons with Russian teams, of which 3 out of 4 with the next opponents. 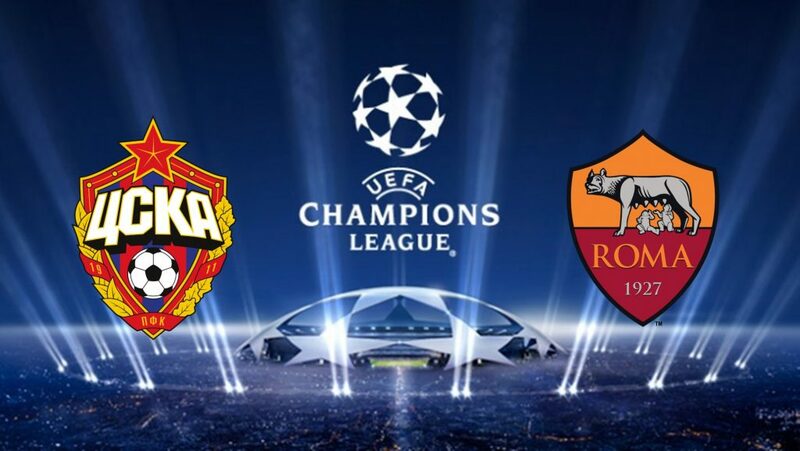 Roma is certainly stronger than CSKA Moscow, but it could be a good strategy to be cautious on the final result (double chance) and to put in place the statistics, which point to networks that often swell when the Italians go to Moscow.